“Do people even like bands anymore?” Ben Knight asks, reclining in his chair in front of a poster of Johnny Cash flipping the bird – specifically where he requested to sit for this interview. Knight’s hair is slicked back in a similar fashion to Cash, and he’s dressed in all black, making him and Cash look like brothers (except Knight flashes a smile). las Castucci chimes in. The two bandmates break out into laughter. Knight may be a bluesy rock and roller, but at 22, his eye is on the changing ways of the modern music industry. 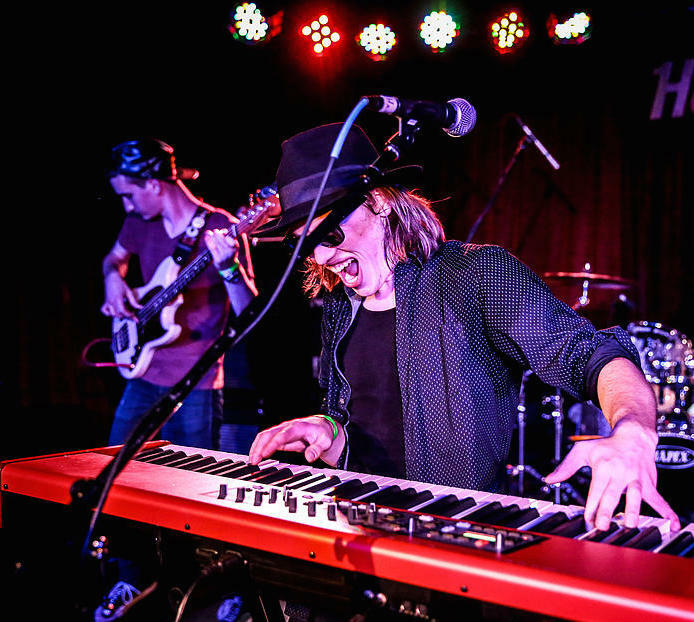 Since winning The Last Band Standing in Massachusetts last year (he was chosen out of 500 entries and ultimately 24 competitors playing five sets each), the young entertainer from Billerica has been tearing up the local music scene with his keyboard, blues band, and brassy horn section – all of which take a beating onstage as the spirit of rock and roll exercises Knight and makes him shimmy in ways that could rival the Blues Brothers. After gaining recognition over the last two years, Knight is ready to revolutionize his recording by releasing singles instead of albums via Patreon, a platform that allows people to support the artists they love by becoming paid sponsors. Launched by musician Jack Conte in 2013, Patreon represents a move from Kickstarter’s model of one- off crowdfunding to a system of recurring revenues. a piece of content,” he said. Because of Patreon’s ability for fans to pledge as artists go, artists can use the site as a tool to create a fan base, instead of using Kickstarter to raise money for one particular album, and have the hype end once the donation goal is met. Knight’s latest pursuit of the singles market included recording two new songs in Syracuse this March with his band and he plans to release one song, “Baby Blues Eyes” in May, and the other, “Over It” in June. Knight is also thinking about music videos, and anything else that will keep the touring machine rolling. Even though releasing a song and video a month “for the next forever” sounds a bit tiresome, Knight isn’t so concerned. Knight cut his teeth on busking and performing in Boston two summers ago, and has since been making money from cover gigs at bars and nightclubs, which he uses to fund his solo project. With help from supporters online, Knight hopes to cut down on cover gigs, and book more shows that allow him to play his original music. Learn more about Ben Knight here.